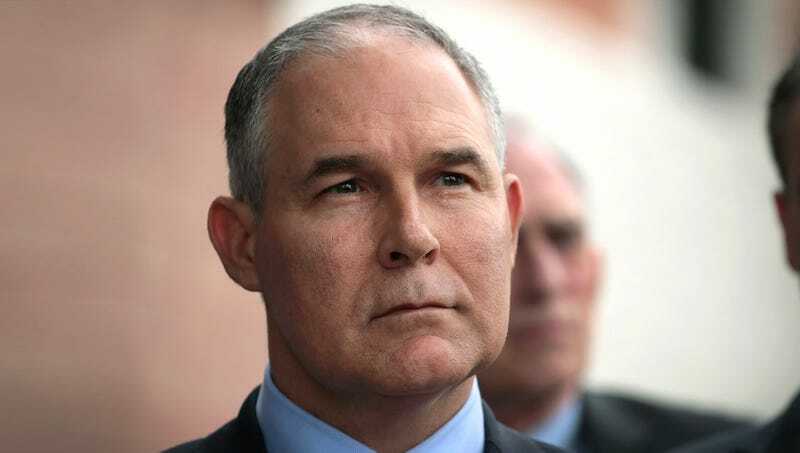 WASHINGTON—In a high-priority email sent to the entire staff, Environmental Protection Agency Administrator Scott Pruitt ordered all employees Friday to stay in the office over the weekend while it’s being fumigated. “This communication is to inform you that workers will be spraying down the office with fumigants this weekend, so everyone should please be here Saturday between the hours of 9 a.m. and 7 p.m.,” Pruitt wrote, noting that because the room will be filled with noxious pesticides, EPA employees would be expected to remain at their desks for the duration of the procedure. “In the interest of being thorough, agency procedure requires you remain in the building the entire day that toxic fumes are being released in the building and the windows be closed at all times.” Pruitt also attached a postscript reminding staffers to be in the office two weekends from now for a scheduled asbestos installation.